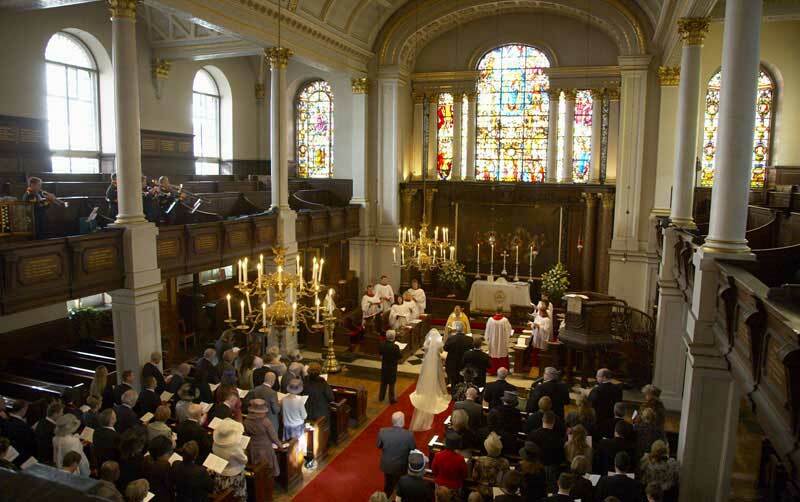 St George’s Hanover Square Church is not only a beautiful building, but a holy place in which to exchange wedding vows, celebrate with family and friends and receive the blessing of God upon your marriage. 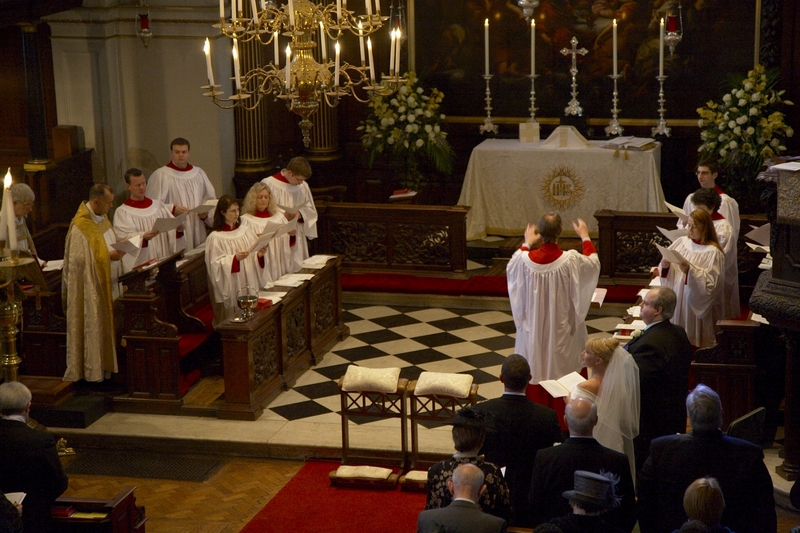 We are proud of our history as one of London’s most famous churches for weddings, which continues to this day. 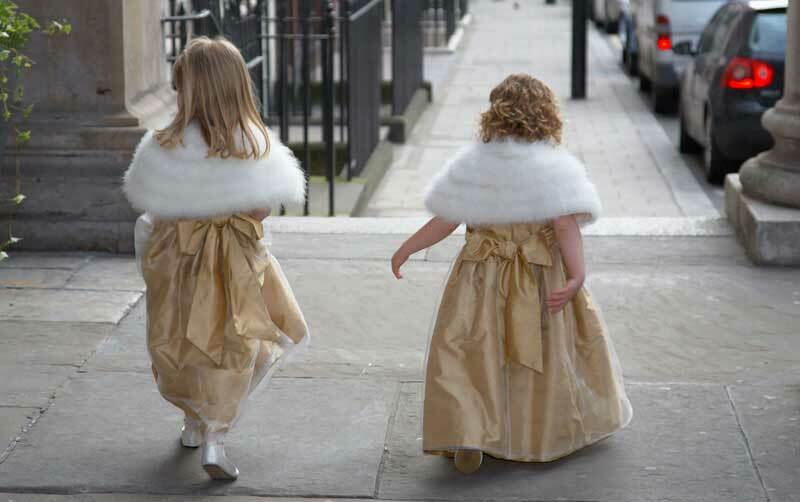 Whilst the majority of weddings are held on a Saturday (when St George’s would otherwise be closed) we are happy to accommodate your own plans so far as our diary of services allows. 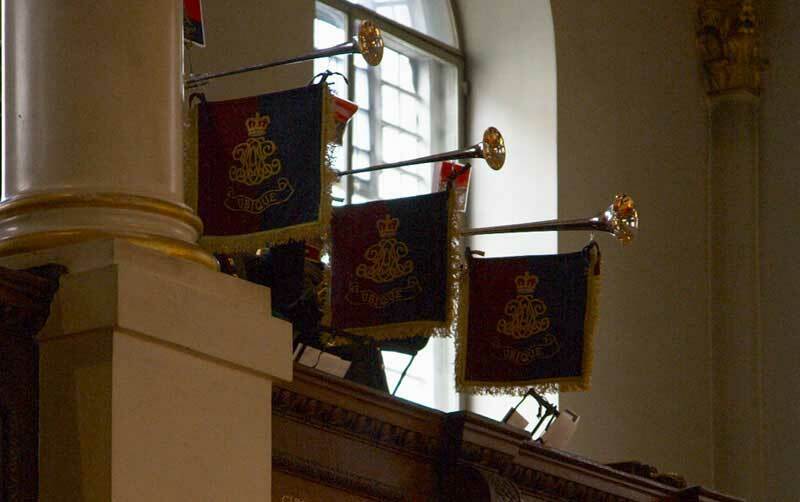 If you are a residentof the parish (basically the boundaries of Mayfair) you can be married here after the calling of banns: the announcement of your wedding on three consecutive Sundays within the three months before the wedding both here and in the parish church of your financé(e). If you are not residentin the parish you can only be married here if you are on the Electoral Roll (the register of the regular worshippers at the Church) or have some other qualifying connection to St George's. Once on the electoral roll, you are married after banns are called here and in your parishes of residence. 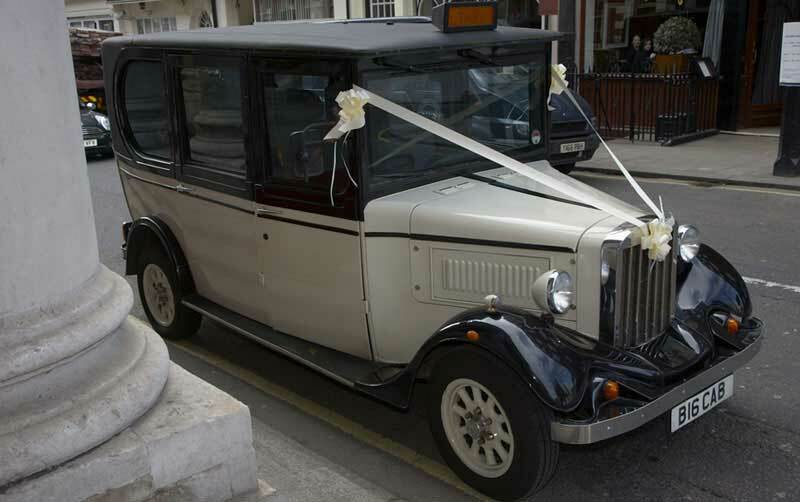 There are a few exceptions when a couple marry after obtaining a Common License from the Bishop of London, or a Special License from the Archbishop of Canterbury. Whether you are resident in the parish or not, we hope that St George’s will become your spiritual home, a place you will return to for Sunday services, special occasions and at special times of the year. To this end, we invite you to join us on Sundays at the 11am Sung Eucharist as part of your preparation for the wedding or at any of our other services. This enables you to become familiar with the Church, to hear the music and the choir, and to get to know the team here. By participating in this way, the Church becomes not only a beautiful building, but also a significant and personal place where you can prepare spiritually for this important day in your life. In the first instance a couple meet the Rector in order that practicalities can be explained and any of your questions discussed, and also to meet other Vestry staff who will be involved in your wedding. At the end of this meeting, you can ask for a template of a typical marriage service to be emailed, which might prove useful as you begin to plan the service.